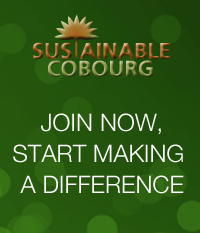 A reminder to all members and those interested in becoming members that Sustainable Cobourg will be holding its Annual General Meeting on Monday, March 3, 2014, at 7:00pm at our office, located at 739 D’Arcy Street (across the road from the Cobourg Community Centre). Please plan to attend if you are interested in filling one of these positions. Refreshments will be served starting at 6:30pm, and we will also be giving away a “sweet” door prize to one lucky attendee! Come hear about what we have been working on and what we are planning for 2014. This entry was posted in News 2014. Bookmark the permalink.